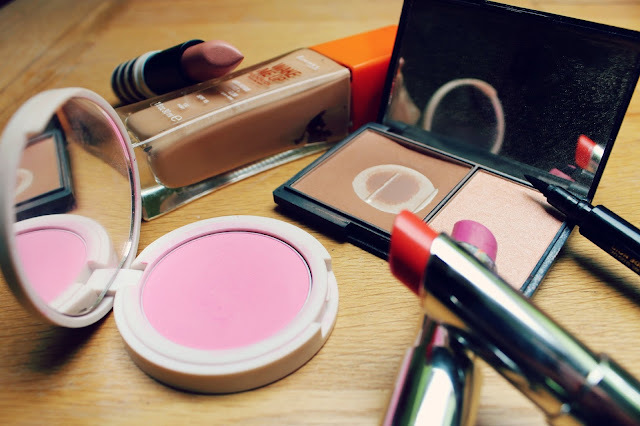 As much as I love buying high end makeup, there are still some amazing products in the drugstore and in some cases products that are better than high end! 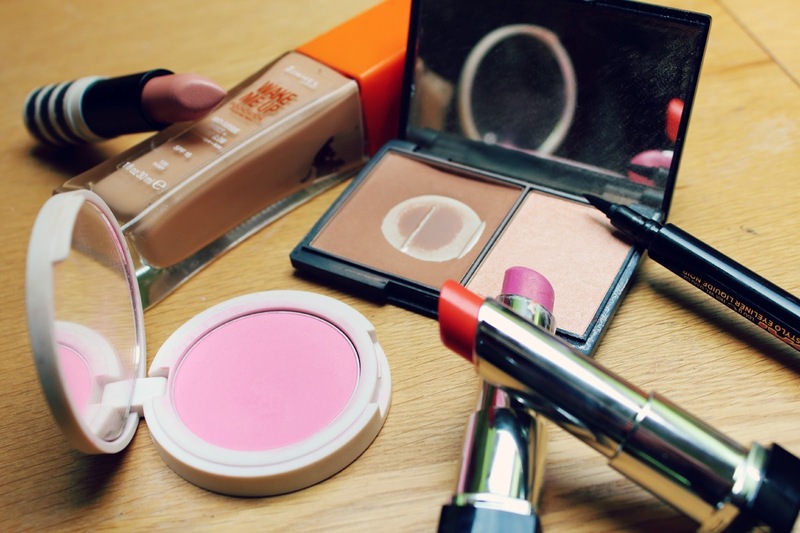 I thought I would share a few of my favourite high street makeup products! Recently I think Rimmel have really pulled it out of the bag, they have been releasing some amazing products. The Wake Me Up foundation is a great foundation and even rivals many of my higher end ones! I love the coverage and the finish is just so beautiful! The Sleek Contour Kit is a product I have used for years, I especially love this when travelling as it contains and contour and a highlight. I love that it comes in different shades so if you are paler like me then you can pick one to suit your skin! My favourite liquid liner is the Soap and Glory Supercat Eyeliner, Soap and Glory are a brand I really love and this eyeliner is great, the pen makes it so easy to do winged eyeliner! Topshop make some really great makeup, when they first came out with makeup I didn't think it would be that good as clothing stores have done it before and they've been a bit "meh" however I love Topshop makeup. Their blushers are so beautiful, this one in the shade "Powdered" is so pretty! Their lipsticks are also amazing, I have very dry lips and find it so hard to wear some lipsticks as they just accentuate it, however these are so creamy! I love the shades "Nevada" and "Innocent" but I also have a shopping list the length of my arm as people keep recommending shades to me! Another lip product I love are the Revlon Lip Butters, as I said my lips are dry and so the formula of these are perfect! The shade range is so lovely! I adore "Tutti Frutti" and "Strawberry Shortcake." What drugstore products do you love? I'm absolutely in love with Revlon - everything I've tried by them is always so lovely! Their lip butters and cream blushes are my favourite :) I really like MUA's nail varnish (although I feel bad that they ripped off Essie's bottle design!) and the Collection 2000 concealer and powder too! I really want to try the Sleek contour kit but I can never find it - think I'm gonna have to order online! I love S&G Supercat liner too. It's simply the best eyeliner I've tried. I love that blusher, it's gorgeous!